This is a quick demo/concept for a potential mod for NBA Live 08 (and possibly NBA Live 2005-07 as well), featuring a league of fictional players. In the full version, the league would consist of some randomly generated fictional players, along with some players based on movies and television that are related to basketball in some way. Depending on how things go, the NBA teams may also be replaced with fictional ones. What's in the mod demo? 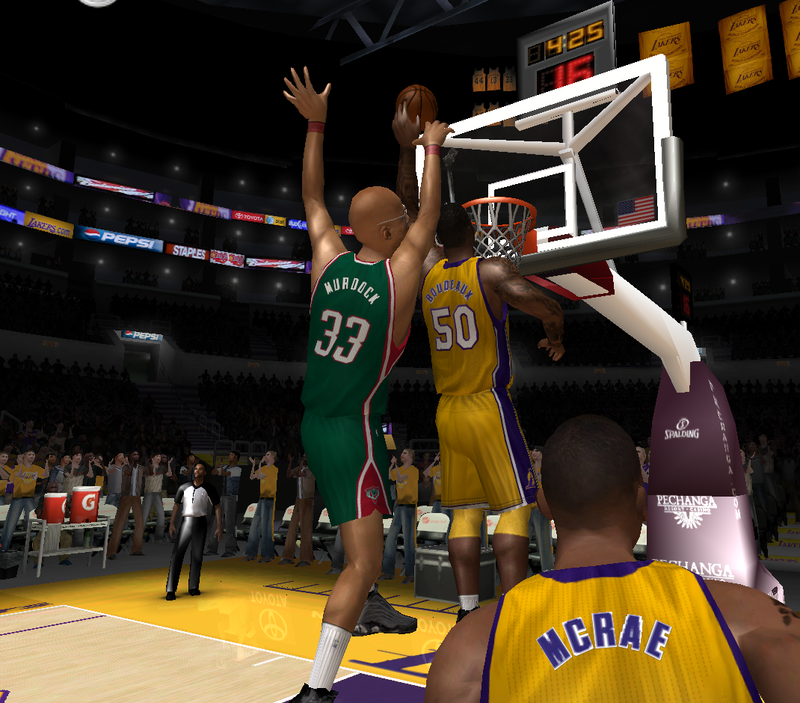 The demo replaces the Los Angeles Lakers' and Milwaukee Bucks' rosters with fictional players from movies and TV. The rest of the league is made up of final 2012/2013 rosters. Free Agents and Legends have been removed. Should the project get off the ground, these players will likely be distributed around the league. At the moment, there are just sixteen fictional players, so they have been divided into two teams. The Los Angeles Lakers are comprised of characters from "Blue Chips", "The Fresh Prince of Bel Air", "He Got Game", and "Celtic Pride". You'll notice that Neon Boudeaux, Butch McRae, and Jesus Shuttlesworth are "played" by Shaquille O'Neal, Anfernee Hardaway, and Ray Allen respectively. Robert Horry is currently filling in for Will Smith. For the purposes of the demo, the Lakers were chosen because of their association with Hollywood. The Milwaukee Bucks are comprised of characters from "BASEketball", "The Air Up There", and "White Men Can't Jump". Additionally, Kareem Abdul-Jabbar appears as his "Airplane!" character, Roger Murdock, who is more or less implied to be Kareem living a double life. For the purposes of the demo, the Bucks were chosen because the characters from "BASEketball" play for the Milwaukee Beers, and Kareem also began his NBA career in Milwaukee. Once again, this is just for demonstration purposes. Should the project get off the ground, some of these players would move around a bit. Please see the included FBL Demo.txt file for more information!